Fast Building Mod for Minecraft is one more beautiful addition in Minecraft. As the name suggests Fast Building mod allows you to construct your structures with a rapid speed. Fast Building Mod is now working on the latest patch Minecraft . There are some more features in this mod for which you have to install this mod in your game. 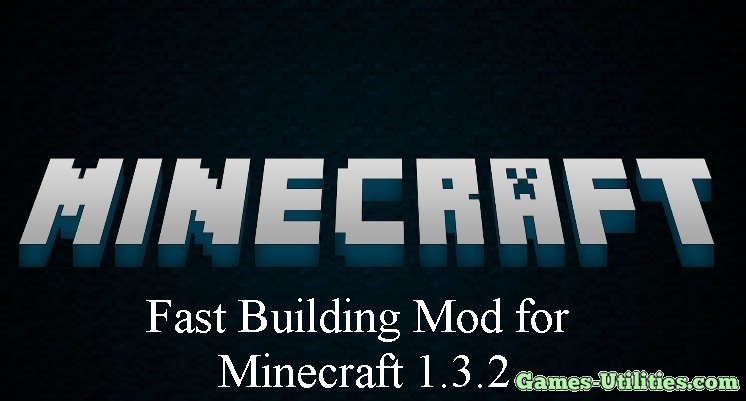 Description: A Minecraft mod for speeding up the construction. Click on the start menu type “ %appdata%” in the Run section. Now open the .minecraft folder search the “bin” in folder in it. Then extract the extract the Fast building mod for in this folder. Move all the contents into your jar. Don’t forget to Delete META-INF. We hope that you guys will enjoy playing Minecraft with fast speed. So keep visiting here and check the latest updates of your favorite game online here.